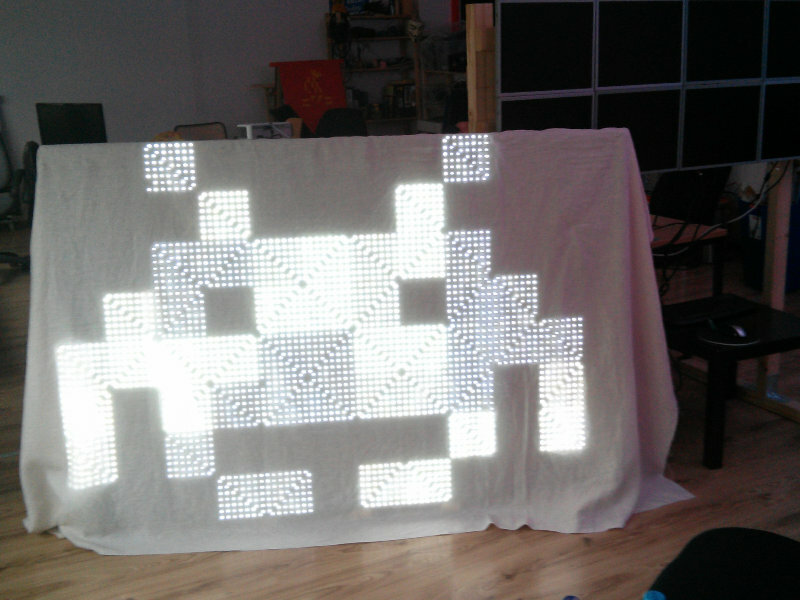 Blinkinvader is a bright LED Wall alternately showing two Space Invaders from the very famous game. It is an Invader and blinking. Yay! It has been the mascot of HaSi since the very beginning. Bathe in its radiance. For now the two Invaders are hard-wired. 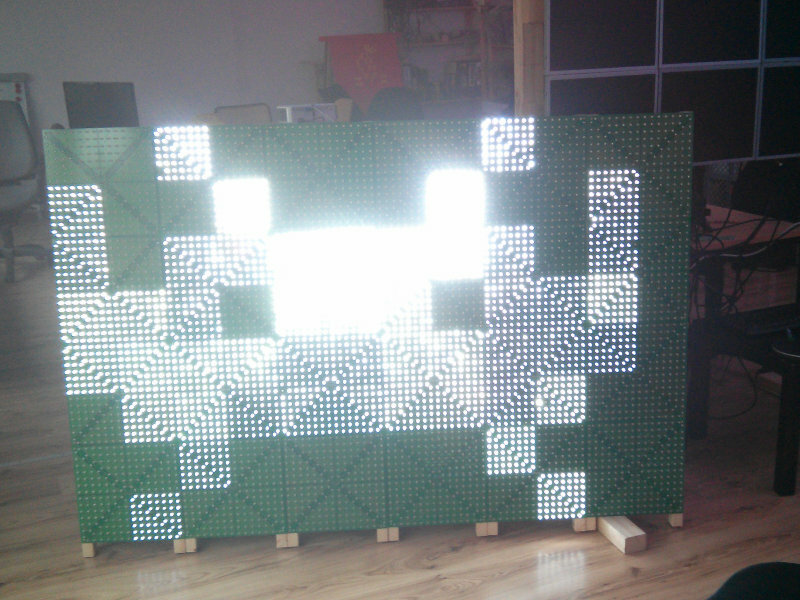 The "Pixels" are about 15x15cm, the wall in total is 1,80x1,24m. This page was last modified on 30 November 2014, at 13:27.